In his later years he promoted nuclear disarmament, as well as orthomolecular medicine, megavitamin therapy, and dietary supplements. None of the latter have gained acceptance in the mainstream scientific community. In 1901, after his sister Pauline was born, Pauling's parents decided to move out of Portland, to find more affordable and spacious living quarters than their one-room apartment. Lucy stayed with her husband's parents in Lake Oswego until Herman brought the family to Salem, where he worked briefly as a traveling salesman for the Skidmore Drug Company. Within a year of Lucile's birth in 1904, Herman Pauling moved his family to Oswego, where he opened his own drugstore. He moved his family to Condon, Oregon in 1905. By 1906, Herman Pauling was suffering from recurrent abdominal pain. He died of a perforated ulcer on June 11, 1910, leaving Lucy to care for Linus, Lucile and Pauline. At age 15, the high school senior had enough credits to enter Oregon State University (OSU), known then as Oregon Agricultural College. Lacking two American history courses required for his high school diploma, Pauling asked the school principal if he could take the courses concurrently during the spring semester. Denied, he left Washington High School in June without a diploma. The school awarded him a diploma 45 years later, after he had won two Nobel Prizes. Pauling married Ava Helen Miller on June 17, 1923. The marriage lasted until Ava Pauling's death in 1981. They had four children. Linus Carl Jr. (born 1925) became a psychiatrist; Peter Jeffress (1931–2003) a crystallographer; Edward Crellin (1937–1997) a biologist; and Linda Helen (born 1932) married noted Caltech geologist and glaciologist Barclay Kamb. In 1926 Pauling was awarded a Guggenheim Fellowship to travel to Europe, to study under German physicist Arnold Sommerfeld in Munich, Danish physicist Niels Bohr in Copenhagen and Austrian physicist Erwin Schrödinger in Zürich. All three were experts in the new field of quantum mechanics and other branches of physics. Pauling became interested in how quantum mechanics might be applied in his chosen field of interest, the electronic structure of atoms and molecules. In Zürich, Pauling was also exposed to one of the first quantum mechanical analyses of bonding in the hydrogen molecule, done by Walter Heitler and Fritz London. Pauling devoted the two years of his European trip to this work and decided to make it the focus of his future research. He became one of the first scientists in the field of quantum chemistry and a pioneer in the application of quantum theory to the structure of molecules. In 1936, Pauling was promoted to Chairman of the Division of Chemistry and Chemical Engineering at Caltech, and to the position of Director of the Gates and Crellin laboratories of Chemistry. He would hold both positions until 1958. In the late 1920s, Pauling began publishing papers on the nature of the chemical bond. Between 1937 and 1938 he took a position as George Fischer Baker Non-Resident Lecturer in Chemistry at Cornell University. While at Cornell, he delivered a series of nineteen lectures and completed the bulk of his famous textbook The Nature of the Chemical Bond. :Preface While at Cornell, Pauling resided at the Telluride House. It is based primarily on his work in this area that he received the Nobel Prize in Chemistry in 1954 "for his research into the nature of the chemical bond and its application to the elucidation of the structure of complex substances". Pauling's book has been considered "chemistry's most influential book of this century and its effective bible". In the 30 years after its first edition was published in 1939, the book was cited more than 16,000 times. Even today, many modern scientific papers and articles in important journals cite this work, more than seventy years after the first publication. Part of Pauling's work on the nature of the chemical bond led to his introduction of the concept of orbital hybridization. While it is normal to think of the electrons in an atom as being described by orbitals of types such as s and p, it turns out that in describing the bonding in molecules, it is better to construct functions that partake of some of the properties of each. Thus the one 2s and three 2p orbitals in a carbon atom can be combined to make four equivalent orbitals (called sp3 hybrid orbitals), which would be the appropriate orbitals to describe carbon compounds such as methane, or the 2s orbital may be combined with two of the 2p orbitals to make three equivalent orbitals (called sp2 hybrid orbitals), with the remaining 2p orbital unhybridized, which would be the appropriate orbitals to describe certain unsaturated carbon compounds such as ethylene. :111–120 Other hybridization schemes are also found in other types of molecules. Another area which he explored was the relationship between ionic bonding, where electrons are transferred between atoms, and covalent bonding, where electrons are shared between atoms on an equal basis. Pauling showed that these were merely extremes, between which most actual cases of bonding fall. It was here especially that Pauling's electronegativity concept was particularly useful; the electronegativity difference between a pair of atoms will be the surest predictor of the degree of ionicity of the bond. The third of the topics that Pauling attacked under the overall heading of "the nature of the chemical bond" was the accounting of the structure of aromatic hydrocarbons, particularly the prototype, benzene. The best description of benzene had been made by the German chemist Friedrich Kekulé. He had treated it as a rapid interconversion between two structures, each with alternating single and double bonds, but with the double bonds of one structure in the locations where the single bonds were in the other. Pauling showed that a proper description based on quantum mechanics was an intermediate structure which was a blend of each. The structure was a superposition of structures rather than a rapid interconversion between them. The name "resonance" was later applied to this phenomenon. In a sense, this phenomenon resembles that of hybridization, described earlier, because it involves combining more than one electronic structure to achieve an intermediate result. In November 1949, Pauling, Harvey Itano, S. J. Singer and Ibert Wells published "Sickle Cell Anemia, a Molecular Disease" in the journal Science. It was the first proof of a human disease caused by an abnormal protein, and sickle cell anemia became the first disease understood at the molecular level. Using electrophoresis, they demonstrated that individuals with sickle cell disease had a modified form of hemoglobin in their red blood cells, and that individuals with sickle cell trait had both the normal and abnormal forms of hemoglobin. This was the first demonstration causally linking an abnormal protein to a disease, and also the first demonstration that Mendelian inheritance determined the specific physical properties of proteins, not simply their presence or absence – the dawn of molecular genetics. In 1951, Pauling gave a lecture entitled "Molecular Medicine". In the late 1950s, Pauling worked on the role of enzymes in brain function, believing that mental illness may be partly caused by enzyme dysfunction. Pauling had been practically apolitical until World War II. During the beginning of the Manhattan Project, Robert Oppenheimer invited him to be in charge of the Chemistry division of the project, but he declined, not wanting to uproot his family. Other wartime projects with more direct military applications included work on explosives, rocket propellants and the patent of an armor-piercing shell. In October 1948 Pauling was awarded a Presidential Medal for Merit by President Harry S. Truman. The citation credits him for his "imaginative mind", "brilliant success", and "exceptionally meritorious conduct in the performance of outstanding services. In 1949, he served as president of the American Chemical Society. His political activism prompted the U.S. State Department to deny him a passport in 1952, when he was invited to speak at a scientific conference in London. In a speech before the US Senate on June 6 of the same year, Senator Wayne Morse publicly denounced the action of the State Department, and urged the Passport Division to reverse its decision. Pauling and his wife Ava were issued a “limited passport” to attend the aforementioned conference in England. His passport was restored in 1954, shortly before the ceremony in Stockholm where he received his first Nobel Prize. Many of Pauling's critics, including scientists who appreciated the contributions that he had made in chemistry, disagreed with his political positions and saw him as a naïve spokesman for Soviet communism. In 1960 he was ordered to appear before the Senate Internal Security Subcommittee, which termed him "the number one scientific name in virtually every major activity of the Communist peace offensive in this country." A headline in Life magazine characterized his 1962 Nobel Prize as "A Weird Insult from Norway". Pauling was a frequent target of The National Review magazine. In an article entitled "The Collaborators" in the magazine's July 17, 1962 issue, Pauling was referred to not only as a collaborator, but as a "fellow traveler" of proponents of Soviet-style communism. In 1965, Pauling sued the magazine, its publisher William Rusher, and its editor William F. Buckley, Jr for $1 million. He lost both his suit and the 1968 appeal. His peace activism, his frequent travels, and his enthusiastic expansion into chemical-biomedical research all aroused opposition at Caltech. In 1958, the Caltech Board of Trustees demanded that Pauling step down as chairman of the Chemistry and Chemical Engineering Division. :2 Although he had retained tenure as a full professor, Pauling chose to resign from Caltech after he received the Nobel peace prize money. He spent the next three years at the Center for the Study of Democratic Institutions (1963–1967). In 1967 he moved to the University of California at San Diego, but remained there only briefly, leaving in 1969 in part because of political tensions with the Reagan-era board of regents. :3 From 1969 to 1974 he accepted a position as Professor of Chemistry at Stanford University. During the 1960s, President Lyndon Johnson’s policy of increasing America’s involvement in the Vietnam War caused an antiwar movement that the Paulings joined with enthusiasm. Pauling denounced the war as unnecessary and unconstitutional. He made speeches, signed protest letters and communicated personally with the North Vietnamese leader, Ho Chi Minh, and gave the lengthy written response to President Johnson. His efforts were ignored by the American government. Pauling was awarded the International Lenin Peace Prize by the USSR in 1970. He continued his peace activism in the following years. He and his wife Ava helped to found the International League of Humanists in 1974. He was president of the scientific advisory board of the World Union for Protection of Life and also one of the signatories of the Dubrovnik-Philadelphia Statement of 1974/1976. Linus Carl Pauling was a Honorary President and Member of the International Academy of Science, Munich until the end of his life. Pauling supported a limited form of eugenics by suggesting that human carriers of defective genes have a compulsory visible mark to discourage potential mates with the same defect, in order to reduce the number of babies with diseases such as sickle cell anemia. Pauling's book, How to Live Longer and Feel Better, advocated the very high intake of Vitamin C.
In 1941, at age 40, Pauling was diagnosed with Bright's disease, a renal disease. Following the recommendations of Thomas Addis, who actively recruited Ava Helen Pauling as "nutritionist, cook, and eventually as deputy 'doctor'", Pauling was able to control the disease with Addis' then-unusual low-protein salt-free diet and vitamin supplements. Thus Pauling's initial – and intensely personal – exposure to the idea of treating disease with vitamin supplements was positive. In 1965 Pauling read Niacin Therapy in Psychiatry by Abram Hoffer and theorized vitamins might have important biochemical effects unrelated to their prevention of associated deficiency diseases. In 1968 Pauling published a brief paper in Science entitled "Orthomolecular psychiatry", giving a name to the popular but controversial megavitamin therapy movement of the 1970s, and advocating that "orthomolecular therapy, the provision for the individual person of the optimum concentrations of important normal constituents of the brain, may be the preferred treatment for many mentally ill patients." Pauling coined the term "orthomolecular" to refer to the practice of varying the concentration of substances normally present in the body to prevent and treat disease. His ideas formed the basis of orthomolecular medicine, which is not generally practiced by conventional medical professionals and has been strongly criticized. Pauling's promotion of dietary supplements has also been heavily criticized. In a 2013 article in The Atlantic, pediatrician Paul Offit wrote that although Pauling was "so spectacularly right" that he won two Nobel Prizes, Pauling's late-career assertions about the benefits of dietary supplements were "so spectacularly wrong that he was arguably the world's greatest quack." In 1973, with Arthur B. Robinson and another colleague, Pauling founded the Institute of Orthomolecular Medicine in Menlo Park, California, which was soon renamed the Linus Pauling Institute of Science and Medicine. Pauling directed research on vitamin C, but also continued his theoretical work in chemistry and physics until his death. In his last years, he became especially interested in the possible role of vitamin C in preventing atherosclerosis and published three case reports on the use of lysine and vitamin C to relieve angina pectoris. During the 1990s Pauling put forward a comprehensive plan for the treatment of heart disease using lysine and vitamin C. In 1996 a website was created expounding Pauling's treatment which it referred to as Pauling Therapy. Proponents of Pauling Therapy believe that heart disease can be treated and even cured using only Lysine and Vitamin C and without drugs or heart operations. A re-evaluation of the claims in 1982 found that the patient groups were not actually comparable, with the vitamin C group being less sick on entry to the study, and judged to be "terminal" much earlier than the comparison group. Later clinical trials conducted by the Mayo Clinic also concluded that high-dose (10,000 mg) vitamin C was no better than placebo at treating cancer and that there was no benefit to high-dose vitamin C. The failure of the clinical trials to demonstrate any benefit resulted in the conclusion that vitamin C was not effective in treating cancer; the medical establishment concluding that his claims that vitamin C could prevent colds or treat cancer were quackery. Pauling denounced the conclusions of these studies and handling of the final study as "fraud and deliberate misrepresentation", and criticized the studies for using oral, rather than intravenous vitamin C (which was the dosing method used for the first ten days of Pauling's original study). Pauling also criticised the Mayo clinic studies because the controls were taking vitamin C during the trial, and because the duration of the treatment with vitamin C was short; Pauling advocated continued high-dose vitamin C for the rest of the cancer patient's life whereas the Mayo clinic patients in the second trial were treated with vitamin C for a median of 2.5 months. The results were publicly debated at length with considerable acrimony between Pauling and Cameron, and Moertel (the lead author of the Mayo Clinic studies), with accusations of misconduct and scientific incompetence on both sides. Pauling died of prostate cancer on August 19, 1994, at 19:20 at home in Big Sur, California. He was 93 years old. 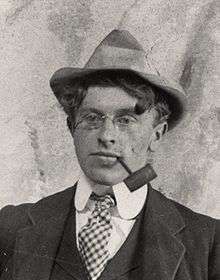 A grave marker for Pauling was placed in Oswego Pioneer Cemetery in Lake Oswego, Oregon by his sister Pauline, but Pauling’s ashes, along with those of his wife, were not buried there until 2005. In 1986, Caltech commemorated Linus Pauling with a Symposia and Lectureship. The Pauling Lecture series at Caltech began in 1989 with a lecture by Pauling himself. The Caltech Chemistry Department renamed room 22 of Gates Hall the Linus Pauling Lecture Hall, since Linus spent so much time there. — Wilson, E. B. (1985) [Originally published in 1935]. Introduction to Quantum Mechanics with Applications to Chemistry. Reprinted by Dover Publications. ISBN 0-486-64871-0. — (1939). The Nature of the Chemical Bond and the Structure of Molecules and Crystals. Cornell University Press. — (1947). General Chemistry: An Introduction to Descriptive Chemistry and Modern Chemical Theory. W. H. Freeman. — Hayward, Roger (1964). 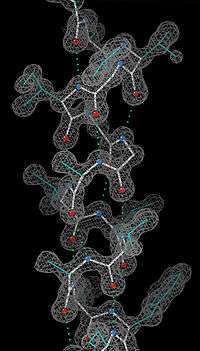 The Architecture of Molecules. San Francisco: Freeman. ISBN 978-0716701583. — (1958). No more war!. Dodd, Mead & Co. ISBN 978-1124119663. — (1977). Vitamin C, the Common Cold and the Flu. W.H. Freeman. ISBN 0-7167-0360-2. — (1987). How to Live Longer and Feel Better. Avon. ISBN 0-380-70289-4. Cameron, E.; — (1993). Cancer and Vitamin C: A Discussion of the Nature, Causes, Prevention, and Treatment of Cancer With Special Reference to the Value of Vitamin C. Camino. ISBN 0-940159-21-X. — (1998). Linus Pauling On Peace: A Scientist Speaks Out on Humanism and World Survival. Rising Star Press. ISBN 0-933670-03-6. Hoffer, Abram; — (2004). Healing Cancer: Complementary Vitamin & Drug Treatments. Toronto: CCNM Press. ISBN 978-1897025116. Ikeda, Daisaku; — (2008). A Lifelong Quest for Peace: A Dialogue. Richard L. Gage (ed., trans.). London: I. B. Tauris. ISBN 978-1-84511-889-1. Pauling, L. (1927). "The Theoretical Prediction of the Physical Properties of Many-Electron Atoms and Ions. Mole Refraction, Diamagnetic Susceptibility, and Extension in Space". Proceedings of the Royal Society A: Mathematical, Physical and Engineering Sciences. 114 (767): 181–211. Bibcode:1927RSPSA.114..181P. doi:10.1098/rspa.1927.0035. Pauling, L. (1929). "The Principles Determining the Structure of Complex Ionic Crystals". Journal of the American Chemical Society. 51 (4): 1010–1026. doi:10.1021/ja01379a006. Pauling, L. (1931). "The Nature of the Chemical Bond. Application of Results Obtained from the Quantum Mechanics and from a Theory of Paramagnetic Susceptibility to the Structure of Molecules". Journal of the American Chemical Society. 53 (4): 1367–1400. doi:10.1021/ja01355a027. Pauling, L. (1931). "The Nature of the Chemical Bond. Ii. The One-Electron Bond and the Three-Electron Bond". Journal of the American Chemical Society. 53 (9): 3225–3237. doi:10.1021/ja01360a004. Pauling, L. (1932). "The Nature of the Chemical Bond. Iii. The Transition from One Extreme Bond Type to Another". Journal of the American Chemical Society. 54 (3): 988–1003. doi:10.1021/ja01342a022. Pauling, L. (1932). "The Nature of the Chemical Bond. Iv. The Energy of Single Bonds and the Relative Electronegativity of Atoms". Journal of the American Chemical Society. 54 (9): 3570–3582. doi:10.1021/ja01348a011. Pauling, L.; Wheland, G. W. (1933). "The Nature of the Chemical Bond. V. The Quantum-Mechanical Calculation of the Resonance Energy of Benzene and Naphthalene and the Hydrocarbon Free Radicals". The Journal of Chemical Physics. 1 (6): 362. Bibcode:1933JChPh...1..362P. doi:10.1063/1.1749304. Pauling, L. (1935). "The Structure and Entropy of Ice and of Other Crystals with Some Randomness of Atomic Arrangement". Journal of the American Chemical Society. 57 (12): 2680–2684. doi:10.1021/ja01315a102. Pauling, L. (1940). "A Theory of the Structure and Process of Formation of Antibodies*". Journal of the American Chemical Society. 62 (10): 2643–2657. doi:10.1021/ja01867a018. Pauling, L. (1947). "Atomic Radii and Interatomic Distances in Metals". Journal of the American Chemical Society. 69 (3): 542–553. doi:10.1021/ja01195a024. Pauling, L.; Itano, H. A.; Singer, S. J.; Wells, I. C. (1949). "Sickle Cell Anemia, a Molecular Disease". Science. 110 (2865): 543–548. Bibcode:1949Sci...110..543P. doi:10.1126/science.110.2865.543. PMID 15395398. Pauling, L.; Corey, R. B.; Branson, H. R. (1951). "The structure of proteins: Two hydrogen-bonded helical configurations of the polypeptide chain". Proceedings of the National Academy of Sciences. 37 (4): 205–11. Bibcode:1951PNAS...37..205P. doi:10.1073/pnas.37.4.205. PMC 1063337 . PMID 14816373. 1920 US Census with Pauling in Portland, Oregon. 1 2 Pauling, Linus (1925). The determination with x-rays of the structures of crystals (PhD thesis). California Institute of Technology. 1 2 "A Guggenheim Fellow in Europe during the Golden Years of Physics (1926–1927)". Special Collections & Archives Research Center. Oregon State University Libraries. Retrieved 27 May 2015. 1 2 3 4 5 Dunitz, J. D. (1996). "Linus Carl Pauling. 28 February 1901–19 August 1994". Biographical Memoirs of Fellows of the Royal Society. 42: 316–326. doi:10.1098/rsbm.1996.0020. PMID 11619334. ↑ Pauling, Linus (1997). Pauling, Jr., Linus, ed. Selected papers of Linus Pauling (Volume I ed.). River Edge, NJ: World Scientific. p. xvii. ISBN 978-9810229399. 1 2 Horgan, J (1993). "Profile: Linus C. Pauling – Stubbornly Ahead of His Time". Scientific American. 266 (3): 36–40. doi:10.1038/scientificamerican0393-36. ↑ Simmons, John (1996). The scientific 100 : a ranking of the most influential scientists, past and present. Secaucus, NY: Carol Publ. Group. ISBN 978-0806517490. Retrieved 26 May 2015. 1 2 3 Rich, A. (1994). 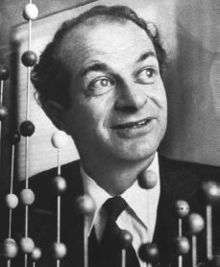 "Linus Pauling (1901–1994)". Nature. 371 (6495): 285. Bibcode:1994Natur.371..285R. doi:10.1038/371285a0. PMID 8090196. 1 2 3 4 "Linus Pauling – Biographical". Nobel Foundation. Retrieved August 5, 2007. ↑ Watson, James D. (2001). The double helix : a personal account of the discovery (1st Touchstone ed.). New York: Touchstone. ISBN 9780743216302. Note: The research contributions of Rosalind Franklin and Linus Pauling are recounted in Watson's memoir. Francis Crick, James Watson and Maurice Wilkins eventually received the Nobel Prize for the discovery. ↑ Stone, Irwin (1982). The healing factor: "vitamin C" against disease. New York: Perigee Books. ISBN 0-399-50764-7. 1 2 Offit, Paul (19 July 2013). "The Vitamin Myth: Why We Think We Need Supplements". The Atlantic. Retrieved 19 July 2013. 1 2 Goertzel and Goertzel, p. 4. 1 2 Abrams, Irwin (1988). 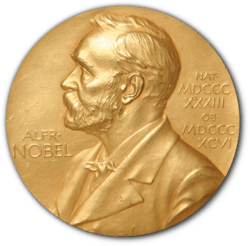 The Nobel Peace Prize and the laureates : an illustrated biographical history, 1901–1987 (2. print. ed.). Boston: G.K. Hall. ISBN 978-0816186099. ↑ Goertzel and Goertzel, p. 22. ↑ Bourgoin, Suzanne M.; Paula K. Byers (1998). Encyclopedia of World Biography. Thomson Gale. Vol. 12, p. 150. ISBN 0-7876-2221-4. 1 2 Goertzel and Goertzel, p. 29. ↑ "Pauling's Years as an Undergraduate at Oregon Agricultural College, Part 2 (1919–1922)". Special Collections and Archives Research Center. Oregon State University. Retrieved 27 May 2015. He is also an assistant to Samuel H. Graf in a mechanics and materials course. 1 2 3 Pauling, Linus (1995). Marinacci, Barbara, ed. Linus Pauling: in his own words : selected writings, speeches, and interviews. New York: Simon & Schuster. ISBN 9780684813875. Retrieved 27 May 2015. Graf gave me a job correcting papers in the courses he taught, about statics and dynamics, bridge structure, strength of materials, and so on. I also helped him in the laboratory. ↑ Goertzel and Goertzel, p. 31. ↑ "Linus Pauling Biographical Timeline". Linus Pauling Institute. Retrieved November 10, 2011. ↑ Richard, Terry (May 3, 2013). "Ava Helen Pauling, wife of Linus Pauling, subject of biography by Corvallis author Mina Carson". The Oregonian. Retrieved June 2, 2015. ↑ "Commencement 1925 California Institute of Technology Pasadena" (PDF). Caltech Campus Publications. 1925-06-12. Retrieved 2013-03-29. ↑ "The Linus Pauling Papers: Biographical Information". United States National Library of Medicine. n.d. Retrieved November 10, 2011. ↑ "Linus Pauling Biography". Linus Pauling Institute. Retrieved November 10, 2011. ↑ "Oral history interview with Linus Carl Pauling, 1964 March 27". American Institute of Physics. Retrieved 27 May 2015. ↑ "Linus Pauling". Dictionary of Unitarian & Universalist Biography. Retrieved 27 May 2015. ↑ Pauling, Linus; Ikeda, Daisaku (1992). A Lifelong Quest for Peace: A Dialogue. Jones & Bartlett. p. 22. ISBN 0-86720-277-7. ...I [Pauling] am not, however, militant in my atheism. The great English theoretical physicist Paul Dirac is a militant atheist. I suppose he is interested in arguing about the existence of God. I am not. It was once quipped that there is no God and Dirac is his prophet. ↑ Cohen, R.S. ; Hilpinen, R.; Qiu, Ren-Zong (2011). Realism and anti-realism in the philosophy of science. Dordrecht: Springer. p. 161. ISBN 978-9048144938. Retrieved 27 May 2015. ↑ "About Linus Pauling". Pacific Northwest National Laboratory. Retrieved 27 May 2015. 1 2 3 4 5 6 7 8 9 10 11 12 13 14 15 16 17 18 19 20 21 22 23 24 25 26 27 28 29 Sturchio, Jeffrey L. (August 19, 1994). "Interview with Linus C. Pauling". Chemical Heritage Foundation Library and Museum. Chemical Heritage Foundation. Note: click on Honors to see list. ↑ Pauling, Linus (1929). "The principles determining the structure of complex ionic crystals". J. Am. Chem. Soc. 51 (4): 1010–1026. doi:10.1021/ja01379a006. ↑ Pauling, Linus (1960). The nature of the chemical bond and the structure of molecules and crystals; an introduction to modern structural chemistry (3rd ed.). Ithaca (NY): Cornell University Press. pp. 543–562. ISBN 0-8014-0333-2. ↑ Hager, Tom (December 2004). "The Langmuir Prize". Oregon State University Libraries Special Collections. Retrieved February 29, 2008. ↑ Pauling, Linus (1932). "The nature of the chemical bond. III. The transition from one extreme bond type to another.". Journal of the American Chemical Society. pp. 988–1003. doi:10.1021/ja01342a022. Retrieved February 29, 2008. 1 2 3 Hager, Thomas (1995). Force of Nature: The Life of Linus Pauling. Simon & Schuster. ISBN 0-684-80909-5. 1 2 Monk, Ray (2014). Robert Oppenheimer : a life inside the center (First Anchor Books ed.). Anchor. ISBN 978-0385722049. ↑ "A Lost Ally". Linus Pauling - The Nature of the Chemical Bond. Retrieved 27 May 2015. ↑ Hargittai, István; Hargittai, Magdolna (2000). In our own image : personal symmetry in discovery. New York, NY [u.a. ]: Kluwer Academic/Plenum. ISBN 9780306460913. Retrieved 27 May 2015. ↑ "The Pauling Electronegativity Scale: Part 2, Inspired by Biology". The Pauling Blog. Oregon State University Libraries Special Collections & Archives Research Center. Retrieved March 17, 2009. ↑ "Outline of the George Fischer Baker Lectureship, Cornell University". Linus Pauling, The nature of the chemical bond, A documentary history. ↑ "Pauling's Lecturer Tenure at Cornell". The Pauling Blog. Oregon State University Libraries Special Collections & Archives Research Center. Retrieved June 3, 2015. 1 2 Pauling, Linus (1986). The nature of the chemical bond and the structure of molecules and crystals : an introduction to modern structural chemistry (3rd ed.). Ithaca, N.Y.: Cornell University Press. ISBN 9780801403330. Retrieved 2 June 2015. ↑ Pauling, Linus (1960). The Nature of the Chemical Bond and the Structure of Molecules and Crystals: An Introduction to Modern Structural Chemistry. Ithaca, NY: Cornell University Press. p. xii. ISBN 9780801403330. ↑ Watson, James D. (2001). A passion for DNA : genes, genomes, and society (2003 ed.). Oxford: Oxford University Press. ISBN 0198604289. ↑ "The nature of the chemical bond (citations and estimated counts)". Google Scholar. Retrieved 27 May 2015. ↑ Pauling, Linus (1928). "London's paper. General ideas on bonds.". Oregon State University Libraries Special Collections. Retrieved June 2, 2015. ↑ Pauling, Linus (1930s). "Notes and Calculations re: Electronegativity and the Electronegativity Scale". Oregon State University Libraries Special Collections. Retrieved February 29, 2008. ↑ Pauling, Linus (January 6, 1934). "Benzene". Oregon State University Libraries Special Collections. Retrieved February 29, 2008. ↑ Pauling, Linus (July 29, 1946). "Resonance". Oregon State University Libraries Special Collections. Retrieved February 29, 2008. ↑ Kay, Lily E. (1996). The molecular vision of life : Caltech, the Rockefeller Foundation, and the rise of the new biology. New York [u.a. ]: Oxford University Press. pp. 148–151. ISBN 0195111435. Retrieved 27 May 2015. 1 2 Califano, Salvatore (2012). Pathways to modern chemical physics. Heidelberg [Germany]: Springer. p. 198. ISBN 978-3-642-28179-2. Retrieved 27 May 2015. ↑ Livio, Mario (2014). Brilliant blunders : from Darwin to Einstein : colossal mistakes by great scientists that changed our understanding of life and the universe. [S.l. ]: Simon & Schuster. ISBN 9781439192375. ↑ Pauling, L; Corey, RB (1951). "Configurations of Polypeptide Chains With Favored Orientations Around Single Bonds: Two New Pleated Sheets". Proceedings of the National Academy of Sciences of the United States of America. 37 (11): 729–40. Bibcode:1951PNAS...37..729P. doi:10.1073/pnas.37.11.729. PMC 1063460 . PMID 16578412. 1 2 Goertzel and Goertzel, p. 95-100. ↑ Pauling, L; Corey, RB (February 1953). "A Proposed Structure For The Nucleic Acids". Proc Natl Acad Sci U S A. 39 (2): 84–97. Bibcode:1953PNAS...39...84P. doi:10.1073/pnas.39.2.84. PMC 1063734 . PMID 16578429. ↑ "Linus Pauling's DNA Model". Archived from the original on February 4, 2012. Retrieved June 2, 2015. ↑ Metzler, David E. (2003). Biochemistry (2nd ed.). San Diego: Harcourt, Academic Pr. ISBN 9780124925410. ↑ Lewis, Julius M. Cruse, Robert E. (2010). Atlas of immunology (3rd ed.). Boca Raton, FL: CRC Press/Taylor & Francis. p. 21. ISBN 978-1439802687. Retrieved 27 May 2015. ↑ Tudge, Colin (1995). The engineer in the garden : genes and genetics : from the idea of heredity to the creation of life (1st American ed.). New York: Hill and Wang. ISBN 9780809042593. Retrieved 27 May 2015. ↑ Pauling, L.; Itano, H. A.; Singer, S. J.; Wells, I. C. (25 November 1949). "Sickle Cell Anemia, a Molecular Disease". Science. 110 (2865): 543–548. Bibcode:1949Sci...110..543P. doi:10.1126/science.110.2865.543. PMID 15395398. Retrieved 2 June 2015. 1 2 3 Strasser, Bruno J. (30 August 2002). "Linus Pauling's "molecular diseases": Between history and memory" (PDF). American Journal of Medical Genetics. 115 (2): 83–93. doi:10.1002/ajmg.10542. PMID 12400054. Retrieved 27 May 2015. 1 2 3 "A Flamboyant Scientist's Legacy : Scholar: Linus C. Pauling's supporters and detractors join in calling the two-time Nobel winner one of the most significant figures of this century". Los Angeles Times. August 21, 1994. Retrieved 1 June 2015. ↑ Pauling, Linus (October 1951). "Molecular Medicine". Ava Helen and Linus Pauling Papers. Retrieved August 5, 2007. ↑ Pauling, Linus (1965). "The Close-Packed Spheron Model of atomic nuclei and its relation to the shell model". Proceedings of the National Academy of Sciences of the United States of America. 54 (4): 989–994. Bibcode:1965PNAS...54..989P. doi:10.1073/pnas.54.4.989. PMC 219778 . PMID 16578621. ↑ Pauling, L (15 October 1965). "The close-packed-spheron theory and nuclear fission". Science. 150 (3694): 297–305. Bibcode:1965Sci...150..297P. doi:10.1126/science.150.3694.297. PMID 17742357. ↑ Pauling, L (15 October 1965). "The close-packed-spheron theory and nuclear fission". Science. 150 (3694): 297–305. Bibcode:1965Sci...150..297P. doi:10.1126/science.150.3694.297. PMID 17742357. Retrieved 2 June 2015. ↑ Pauling, Linus (October 1965). "The close-packed spheron model of atomic nuclei and its relation to the shell model". Proceedings of the National Academy of Sciences. Retrieved August 5, 2007. ↑ Pauling, Linus (July 1966). "The close-packed-spheron theory of nuclear structure and the neutron excess for stable nuclei (Dedicated to the seventieth anniversary of Professor Horia Hulubei)". Revue Roumain de Physique. Retrieved August 5, 2007. ↑ Pauling, Linus (December 1967). "Magnetic-moment evidence for the polyspheron structure of the lighter atomic nuclei". Proceedings of the National Academy of Sciences. Retrieved August 5, 2007. ↑ Pauling, Linus (November 1969). "Orbiting clusters in atomic nuclei". Proceedings of the National Academy of Sciences. Retrieved August 5, 2007. ↑ Pauling, Linus; Arthur B. Robinson (1975). "Rotating clusters in nuclei". Canadian Journal of Physics. Retrieved August 5, 2007. ↑ Pauling, Linus (February 1991). "Transition from one revolving cluster to two revolving clusters in the ground-state rotational bands of nuclei in the lanthanon region". Proc. Natl. Acad. Sci. 88 (3): 820–823. Bibcode:1991PNAS...88..820P. doi:10.1073/pnas.88.3.820. Retrieved August 5, 2007. ↑ Pauling, Linus (November 15, 1969). "Orbiting clusters in atomic nuclei" (PDF). Proceedings of the National Academy of Sciences. 64 (3): 807–809. Bibcode:1969PNAS...64..807P. doi:10.1073/pnas.64.3.807. Retrieved 27 May 2015. ↑ "Linus Pauling Interview (page: 9 / 9)". Academy of Achievement. February 29, 2008. Retrieved 2013-06-25. ↑ "Hiroshima". Linus Pauling and the International Peace Movement. Special Collections & Archives Research Center, Oregon State University. Retrieved 27 May 2015. ↑ Kay, Lily E. (1996). The molecular vision of life : Caltech, the Rockefeller Foundation, and the rise of the new biology. New York: Oxford University Press. p. 179. ISBN 978-0195111439. Retrieved 27 December 2015. ↑ Arnold Thackray & Minor Myers, Jr. (2000). Arnold O. Beckman : one hundred years of excellence. foreword by James D. Watson. Philadelphia, Pa.: Chemical Heritage Foundation. ISBN 978-0-941901-23-9. ↑ "Beckman D2 Oxygen Analyzer". Wood Library-Museum of Anesthesiology. Retrieved 28 May 2015. ↑ "Blood and War: The Development of Oxypolygelatin, Part 1". The Pauling Blog. Retrieved 28 May 2015. ↑ Chadarevian, Soraya de (1998). Molecularizing biology and medicine new practices and alliances, 1910s-1970s. Amsterdam: Harwood Academic. p. 109. ISBN 978-9057022937. Retrieved 28 May 2015. ↑ "Presidential Medal for Merit". Linus Pauling Awards Honors and Medals. Retrieved 28 May 2015. ↑ "The Linus Pauling Papers: Biographical Information". United States National Library of Medicine. Retrieved February 11, 2008. ↑ Paulus, John Allen (November 5, 1995). "Pauling's Prizes". New York Times. Retrieved December 9, 2007. ↑ "ACS President: Linus Pauling (1901–1994)". ACS Chemistry for Life. Retrieved 1 June 2015. ↑ Hager, Thomas (November 29, 2007). "Einstein". Oregon State University Libraries Special Collections. Retrieved December 13, 2007. ↑ "Linus Pauling". U.S. Stamp Gallery. Retrieved June 2, 2015. [In] January of 1952, Pauling requested a passport to attend a meeting in England ... The passport was denied because granting it "would not be in the best interest of the United States." He applied again and wrote President Eisenhower, asking him to arrange the issuance of the passport since, "I am a loyal citizen of the United States. I have never been guilty of any unpatriotic or criminal act." ↑ Pauling, Linus (May 1952). "The Department of State and the Structure of Proteins". Oregon State University Libraries Special Collections. Retrieved December 13, 2007. ↑ Hager, Thomas (November 29, 2007). "Russell/Einstein". Oregon State University Libraries Special Collections. Retrieved December 13, 2007. ↑ Hermann, Armin (1979). The new physics : the route into the atomic age : in memory of Albert Einstein, Max von Laue, Otto Hahn, Lise Meitner. Bonn-Bad Godesberg: Inter Nationes. p. 130. 1 2 "The Baby Tooth Survey". The Pauling Blog. Retrieved June 1, 2011. ↑ "The Nobel Peace Prize 1962 Linus Pauling: Nobel Lecture". Nobel Prize.org. Retrieved 28 May 2015. ↑ "Linus Pauling Receives the Nobel Peace Prize". The Pauling Blog. Retrieved December 10, 2013. ↑ Moore, Kelly (2008). Disrupting science : social movements, American scientists, and the politics of the military, 1945–1975. Princeton: Princeton University Press. p. 113. ISBN 978-0-691-11352-4. Retrieved 28 May 2015. ↑ Reiss, Louise Zibold (November 24, 1961). "Strontium-90 Absorption by Deciduous Teeth: Analysis of teeth provides a practicable method of monitoring strontium-90 uptake by human populations" (PDF). Science. Retrieved October 13, 2009. ↑ Hager, Thomas (November 29, 2007). "Strontium-90". Oregon State University Libraries Special Collections. Retrieved December 13, 2007. ↑ Hager, Thomas (November 29, 2007). "The Right to Petition". Oregon State University Libraries Special Collections. Retrieved December 13, 2007. ↑ McCormick, John (1991). Reclaiming paradise : the global environmental movement (1st Midland ed.). Bloomington: Indiana University Press. ISBN 9780253206602. Retrieved 27 May 2015. ↑ Allen, Garland E.; MacLeod, Roy M. (2001). Science, history and social activism : a tribute to Everett Mendelsohn. Dordrecht: Kluwer Academic. p. 302. ISBN 978-1402004957. Retrieved 27 May 2015. ↑ "Nobel Peace Prize Awarded to Pauling". Palo Alto Times. October 10, 1963. Retrieved 27 May 2015. ↑ Pauling, Linus (October 10, 1963). "Notes by Linus Pauling. October 10, 1963.". Oregon State University Libraries Special Collections. Retrieved December 13, 2007. ↑ "Linus Pauling Biography". Linus Pauling Institute. Retrieved 2 June 2015. Pauling said that his Nobel Peace Prize should really have gone to her, or at least been shared between them. ↑ "issued to Linus Pauling by the Internal Security Subcommittee of the United States Senate. June 20, 1960". Linus Pauling and the International Peace Movement. Retrieved 28 May 2015. 1 2 Mason, Stephen F. (1997). "The Science and Humanism of Linus Pauling (1901–1994)". Chemical Society Reviews. 26: 29–39. doi:10.1039/cs9972600029. Retrieved May 20, 2015. ↑ Kovac, Jeffrey (1999). "A WEIRD INSULT FROM NORWAY: Linus Pauling as Public Intellectual". Soundings: an Interdisciplinary Journal. 82 (1/2): 91–106. JSTOR 41178914. ↑ Saxon, Wolfgang (August 30, 1998). "C. Dickerman Williams, 97, Free-Speech Lawyer, Is Dead". The New York Times. Retrieved 20 December 2013. ↑ "Linus Pauling and the International Peace Movement: Vietnam". Oregon State University Libraries. 2010. ↑ "Lenin Peace Prize Recipients". Research History. May 16, 2011. ↑ "Founders". International League of Humanists for peace and tolerance. Retrieved 28 May 2015. ↑ "The Dubrovnik-Philadelphia Statement /1974–1976/ (short version)". International League of Humanists. Retrieved 28 May 2015. ↑ "History". International Academy of Science, Munich. Retrieved 2015-03-16. ↑ Mendelsohn, Everett (March–April 2000). "The Eugenic Temptation". Harvard Magazine. ↑ Ramsey, Heather (July 10, 2015). "10 Widely Admired People Who Supported Eugenics". Listverse. Retrieved October 7, 2016. ↑ Pauling, Linus (1987). How to Live Longer and Feel Better (1 ed.). New York: Avon Books. Retrieved 22 August 2016 – via Open Library. ↑ Peitzman, Steven J. (2007). Dropsy, dialysis, transplant: a short history of failing kidneys. Baltimore: Johns Hopkins University Press. pp. 72–8; 190. ISBN 0-8018-8734-8. ↑ Nicolle, Lorraine; Beirne, Ann Woodriff, eds. (2010). Biochemical imbalances in disease a practitioner's handbook. London: Singing Dragon. p. 27. ISBN 9780857010285. ↑ Pauling, Linus (April 1968). "Orthomolecular psychiatry. Varying the concentrations of substances normally present in the human body may control mental disease". Science. 160 (3825): 265–71. Bibcode:1968Sci...160..265P. doi:10.1126/science.160.3825.265. PMID 5641253. ↑ Cassileth, Barrie R. (1998). The alternative medicine handbook: the complete reference guide to alternative and complementary therapies. New York: W.W. Norton. p. 67. ISBN 0-393-04566-8. ↑ "Vitamin Therapy, Megadose / Orthomolecular Therapy". BC Cancer Agency. February 2000. Archived from the original on February 2, 2007. Retrieved August 5, 2007. ↑ Cameron, Ewan. "Cancer Bibliography: Ewan Cameron, M.D. and Vitamin C Therapy". Doctoryourself.com. Retrieved August 5, 2007. ↑ Severo, Richard (August 21, 1994). "Linus C. Pauling Dies at 93; Chemist and Voice for Peace". The New York Times. Retrieved 1 June 2015. ↑ Cameron, E; Pauling, L (October 1976). "Supplemental ascorbate in the supportive treatment of cancer: Prolongation of survival times in terminal human cancer". Proceedings of the National Academy of Sciences. 73 (10): 3685–9. Bibcode:1976PNAS...73.3685C. doi:10.1073/pnas.73.10.3685. PMC 431183 . PMID 1068480. ↑ Cameron, E; Pauling, L (September 1978). "Supplemental ascorbate in the supportive treatment of cancer: Reevaluation of prolongation of survival times in terminal human cancer". Proceedings of the National Academy of Sciences. 75 (9): 4538–42. Bibcode:1978PNAS...75.4538C. doi:10.1073/pnas.75.9.4538. PMC 336151 . PMID 279931. ↑ DeWys, WD (1982). "How to evaluate a new treatment for cancer". Your Patient and Cancer. 2 (5): 31–36. ↑ Creagan, ET; Moertel, CG; O'Fallon, JR (September 1979). "Failure of high-dose vitamin C (ascorbic acid) therapy to benefit patients with advanced cancer. A controlled trial". The New England Journal of Medicine. 301 (13): 687–90. doi:10.1056/NEJM197909273011303. PMID 384241. ↑ Moertel, CG; Fleming, TR; Creagan, ET; Rubin, J; O'Connell, MJ; Ames, MM (January 1985). "High-dose vitamin C versus placebo in the treatment of patients with advanced cancer who have had no prior chemotherapy. A randomized double-blind comparison". The New England Journal of Medicine. 312 (3): 137–41. doi:10.1056/NEJM198501173120301. PMID 3880867. ↑ Tschetter, L; et al. (1983). "A community-based study of vitamin C (ascorbic acid) in patients with advanced cancer". Proceedings of the American Society of Clinical Oncology. 2: 92. 1 2 Chen, Q; Espey, M. G.; Sun, A. Y.; Lee, J.-H.; Krishna, M. C.; Shacter, E.; Choyke, P. L.; Pooput, C.; Kirk, K. L.; Buettner, G. R.; Levine, M.; et al. (2007). "Ascorbate in pharmacologic concentrations selectively generates ascorbate radical and hydrogen peroxide in extracellular fluid in vivo". Proceedings of the National Academy of Sciences. 104 (21): 8749–54. Bibcode:2007PNAS..104.8749C. doi:10.1073/pnas.0702854104. PMC 1885574 . PMID 17502596. ↑ Goertzel, Ted (1996). "Analyzing Pauling's Personality: A Three Generational, Three Decade Project". Special Collections, Oregon State University Libraries. Retrieved August 5, 2007. 1 2 Pinch, Trevor; Collins, Harry M. (2005). "Alternative Medicine: The Cases of Vitamin C and Cancer". Dr. Golem: how to think about medicine. Chicago: University of Chicago Press. pp. 89–111. ISBN 0-226-11366-3. ↑ Levine, M; et al. (2006). "Intravenously administered vitamin C as cancer therapy: three cases". CMAJ. 174 (7): 937–942. doi:10.1503/cmaj.050346. PMC 1405876 . PMID 16567755. Retrieved August 5, 2007. ↑ Pauling, Linus (1986). How to Live Longer and Feel Better. New York: W.H. Freeman and Company. pp. 173–175. ISBN 0-7167-1781-6. ↑ Pauling, L (November 1978). Ralph Pelligra, ed., ed. "Orthomolecular enhancement of human development" (PDF). Human Neurological Development: 47–51. ↑ Saul, Andrew W.; Dr. Abram Hoffer. "Abram Hoffer, M.D., PhD 50 Years of Megavitamin Research, Practice and Publication". Doctoryourself.com. Retrieved August 5, 2007. ↑ Ohno, S; Ohno, Y; Suzuki, N; Soma, G; Inoue, M (2009). "High-dose vitamin C (ascorbic acid) therapy in the treatment of patients with advanced cancer". Anticancer research. 29 (3): 809–15. PMID 19414313. ↑ Jacobs, Carmel; Hutton, Brian; Ng, Terry; Shorr, Risa; Clemons, Mark (2015). "Is There a Role for Oral or Intravenous Ascorbate (Vitamin C) in Treating Patients With Cancer? A Systematic Review". The Oncologist. 20 (2): 210–223. doi:10.1634/theoncologist.2014-0381. PMID 25601965. Conclusion. There is no high-quality evidence to suggest that ascorbate supplementation in cancer patients either enhances the antitumor effects of chemotherapy or reduces its toxicity. ↑ "Vitamin C Fact Sheet for Health Professionals". National Institutes of Health. Retrieved 2 June 2015. "At this time, the evidence is inconsistent on whether dietary vitamin C intake affects cancer risk. Results from most clinical trials suggest that modest vitamin C supplementation alone or with other nutrients offers no benefit in the prevention of cancer... Some researchers support reassessment of the use of high-dose IV vitamin C as a drug to treat cancer... It is uncertain whether supplemental vitamin C and other antioxidants might interact with chemotherapy and/or radiation. 1 2 "The Centennial: Who's Buried in Linus Pauling's Grave?" (PDF). Retrieved 26 December 2012. ↑ "Linus Pauling". California Museum. Retrieved 1 June 2015. ↑ Hamilton, Neil A. (2002). American social leaders and activists. New York: Facts On File. ISBN 978-0816045358. Retrieved 1 June 2015. ↑ "Pauling Honored by Scientists at Caltech Event". Los Angeles Times. United Press International. 1 March 1986. Retrieved 22 July 2012. ↑ "Linus Pauling Science Center | Department of Chemistry | Oregon State University". chemistry.oregonstate.edu. Retrieved 2016-11-10. ↑ "Four Legends of American Science Now on U.S. Postage Stamps" (PDF). United States Postal Service Postal News, Release No. 08-23. March 6, 2008. 1 2 "OSU Celebrates Linus Pauling and Release of New U.S. Postal Service Stamp". Oregon State University - University Events. Retrieved 2015-02-25. ↑ "Governor & First Lady Participate in 2008 CA Hall of Fame Induction Ceremony". CA.gov. Retrieved 1 June 2015. 1 2 "Linus Pauling Research Notebooks Online". Natural Science. Retrieved 1 June 2015. ↑ "Linus Pauling Institute". Lpi.oregonstate.edu. Retrieved 2013-06-25. ↑ Cole, Gail (October 14, 2011). "Linus Pauling Science Center opens at OSU". Corvallis Gazette-Times. Retrieved 2 June 2015. ↑ "Linus Pauling Science Center - A Moment to Celebrate". Oregon State University Foundation. Retrieved 2 June 2015. ↑ Zewail, Ahmed (1992). The Chemical Bond Structure and Dynamics. Burlington: Elsevier Science. ISBN 9780080926698. Retrieved 1 June 2015. ↑ Baum, Rudy (11 December 1989). 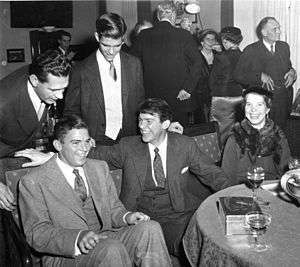 "Caltech launches Linus Pauling lecture series". Chemical & Engineering News. 67 (50): 18–19. doi:10.1021/cen-v067n050.p018a. Retrieved 1 June 2015. ↑ Johnson, Greg (March 20, 1996). "Pauling Road Address Fits New Vitamin Factory to a 'C'". Los Angeles Times. Retrieved 2 June 2015. ↑ Gottlieb, Jeff (August 19, 2001). "A New-View University". Los Angeles Times. Retrieved 1 June 2015. ↑ Woodward, Raju (February 29, 2012). "A son's tribute by Linus Pauling Jr.". Corvallis Gazette-Times. Retrieved 1 June 2015. ↑ "Scientist cites Condon years as influential". Register-Guard, Eugene, Oregon. October 19, 1988. Retrieved 1 June 2015. ↑ Heberlein, L. A. (2002). The Rough guide to internet radio. London: Rough Guides. ISBN 1858289610. Retrieved 1 June 2015. ↑ Schmadel, Lutz D. (2012). Dictionary of minor planet names (6th ed.). Berlin: Springer. ISBN 9783642297182. Retrieved 1 June 2015. ↑ Moody, Glyn (2002). Rebel Code: Linux and the Open Source Revolution. Perseus Books Group. p. 336. ISBN 0-7382-0670-9. ↑ Agre, Peter (2013-12-10). "Fifty years ago: Linus Pauling and the belated Nobel Peace Prize". Science & Diplomacy. 2 (4). 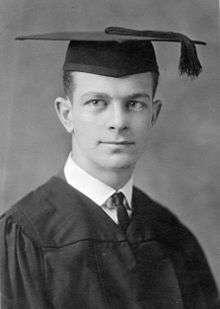 1 2 3 4 5 6 7 8 9 10 11 12 13 14 15 16 17 18 19 20 21 "Linus Pauling: Awards, Honors and Medals". Special Collections. Oregon State University Libraries. Retrieved April 25, 2013. ↑ "ACS Award in Pure Chemistry". American Chemical Society. Retrieved 18 January 2014. ↑ "Alpha Chi Sigma Fraternity, Certificate of Membership.". Special Collections & Archives Research Center. Oregon State University Libraries. Retrieved 27 May 2015. ↑ Pauling's awards and medals (includes image of Fermat medal). ↑ "NAS Award in Chemical Sciences". National Academy of Sciences. Retrieved June 2, 2015. Goertzel, Ted; Goertzel, Ben (1995). Linus Pauling: A Life in Science and Politics. Basic Books. ISBN 0-465-00672-8. Hager, Thomas (1995). Force of Nature: The Life of Linus Pauling. Simon & Schuster. ISBN 0-684-80909-5. — (1998). Linus Pauling and the Chemistry of Life. Oxford University Press. ISBN 0-19-513972-0. Marinacci, Barbara; Krishnamurthy, Ramesh (1998). Linus Pauling on Peace. Rising Star Press. ISBN 0-933670-03-6. Mead, Clifford; Hager, Thomas, eds. (2001). Linus Pauling: Scientist and Peacemaker. Oregon State University Press. ISBN 0-87071-489-9. Serafini, Anthony (1989). Linus Pauling: A Man and His Science. Paragon House. ISBN 1-55778-440-X. Davenport, Derek A. (1996). 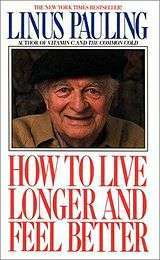 "The Many Lives of Linus Pauling: A Review of Reviews". Journal of Chemical Education. 73 (9): A210. Bibcode:1996JChEd..73..210D. doi:10.1021/ed073pA210. Retrieved April 26, 2013. Sturchio, Jeffrey L. (August 19, 1994). "Interview with Linus C. Pauling". Chemical Heritage Foundation Museum and Library. Chemical Heritage Foundation.